The Benedictine Handbook is a lifelong companion for oblates, associates, and friends of the Benedictine communities. Many people who visit communities for retreats and quiet days look for help in integrating into their daily lives some of the things they see and experience. This handbook will help people follow the Rule of Benedict as it explains the essential elements of Benedictine spirituality. It provides information on the spread of the Benedictine movement, its outstanding figures, and the main branches of the Benedictine family today. It also includes a simple version of the Daily Office and a collection of Benedictine devotions. It is a "member's handbook" that deepens the sense of belonging among those who seek regular contact with a Benedictine community. The Benedictine Handbook will appeal to a broad range of readers who may or may not be familiar with Benedictine literature. 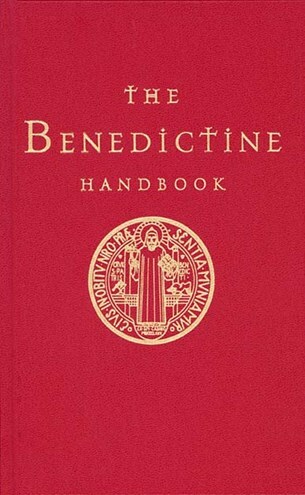 The contributors to The Benedictine Handbook come from Benedictine backgrounds in the United States and Europe. This is a wonderful resource for Benedictine Oblates and those interested in Benedictine life or spirituality. This handbook is a convenient collection of . . . Benedictine material. . . . Attractively produced it would make a welcome aid to those who wish to live by the Benedictine vision.